According to the latest report issued by the China Internet Network Information Center (CNNIC), China’s internet usage has passed a major milestone, with an online population exceeding 800 million. That number represents more than the combined populations of Japan, Russia, Mexico and the U.S. With 42% of global ecommerce now happening in China (compare that with 24% in the U.S.), brands servicing this market have a huge opportunity for growth. That opportunity, however, doesn’t come free from online threats. A recent Harvard Business Review report indicated that 86% of the world’s counterfeit goods originate from China and Hong Kong, with many of these ending up on China’s domestic ecommerce sites. Reports suggest that even as far back as 2015, over 40% of China's online sales were counterfeit. In 2017, Alibaba alone closed 240,000 stores on Taobao.com for selling counterfeit goods. Despite these risks, the Chinese market still remains a very attractive proposition with online sales predicted to reach $1.1 trillion by 2022. So how can brands capitalize on opportunity while safeguarding their intellectual property? The Chinese market presents some unique challenges, but having an effective domain management and enforcement program can help. One place to start is by building a strong intellectual property portfolio in which trademarks play a crucial role. China’s first-to-file trademark law has presented challenges to some of the world’s biggest brands. It is therefore vitally important to register your trademarks and domain names well in advance of any product launches. Next, you need to develop your enforcement strategy — understanding the marketplaces which attract the most traffic is the first step. Technology is one way to identify where your consumers shop so you can identify patterns and detect those high-volume persistent sellers that may require extra focus. Having a clear brand protection strategy in China can also give you valuable insights to help optimize your marketing, pricing and product strategies across the region. The information gleaned can be invaluable in helping you understand your consumer’s behavior as well as the latest digital marketing trends. The Chinese market may represent some unique challenges when enforcing your brand protection strategy, but having a strong intellectual property portfolio, along with support from legal experts with specific knowledge of Chinese trademark law, are crucial elements to your brand’s success in Asia markets. 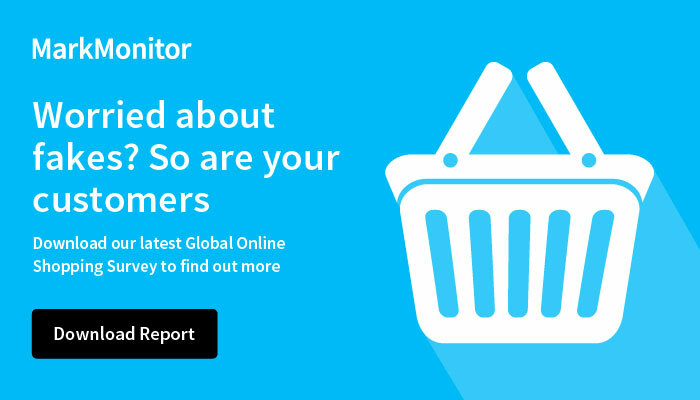 MarkMonitor clients have experienced compliance rates of 93% or more for enforcement requests on counterfeit goods in Chinese marketplaces. For more details about how to implement a strong, consumer-focused enforcement program, download our whitepaper here.